How many of you just love when your Land of Nod catalog shows up?! I just love love love it! I am a huge fan of where Land of Nod has taken nursery and kids room decor. They have established just the right balance of modern design and kid friendly fun. I am always able to find what I’m looking for when it comes to Land of Nod. I thought I’d share a few of my absolute favorite items. I’m loving the New School Kids sheet sets right now because of the scale of the pattern. It doesn’t look as sweet as you’d expect polka dot bedding to look. Instead it adds just the right softness along with a bold statement. 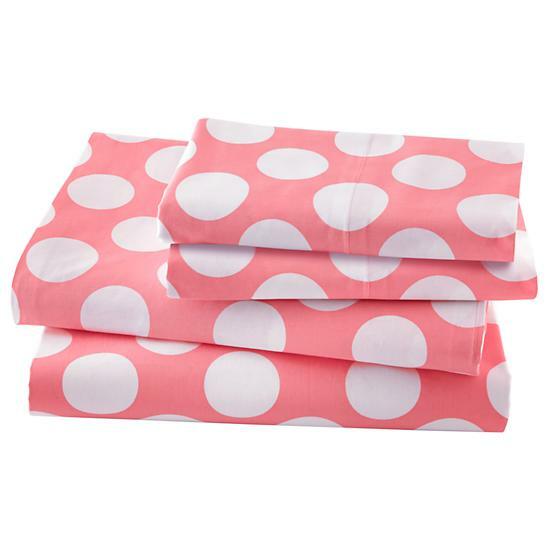 These sheets come in a bunch of fun colors. 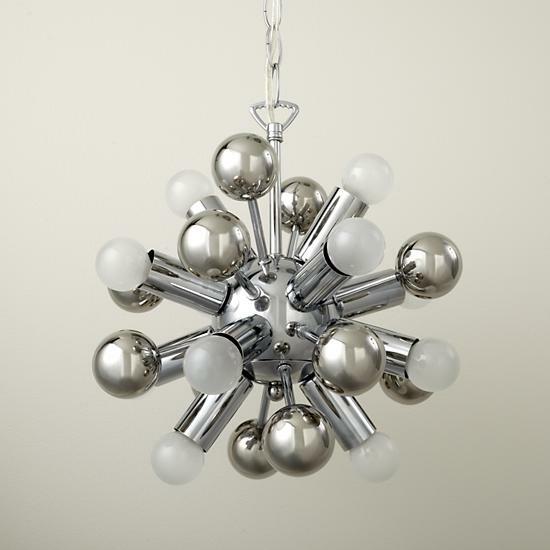 I can’t get over this amazing pendant light called the Up and Atom chandelier, its very similar to another one of my favorites lights. What a great addition of quirky this would add to any room. I’m kind of dying for it to make an appearance in my kids room. Ahhhh a girl can dream, but budget budget budget always gets in the way. 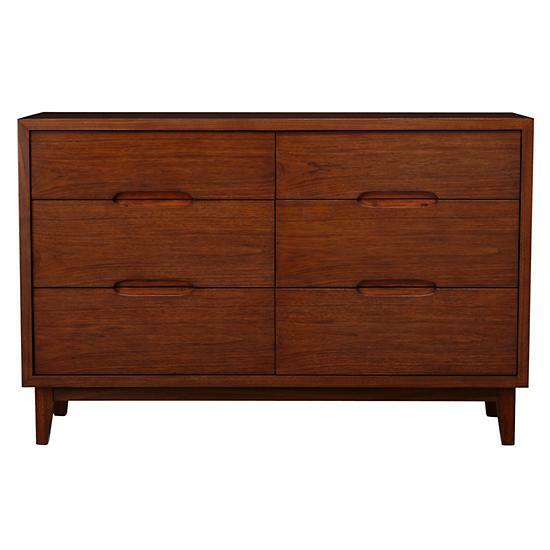 And I think I need to find a client who loves this dresser and the entire Ellipse collection as much as I do, so we can use it in their space. I love the modern lines and the rich color. It is just such a “cool” piece. Adding a changing pad to the top will allow for it to double as a changing station, but then last for years and years after. Those are just a few of my favorites right now.